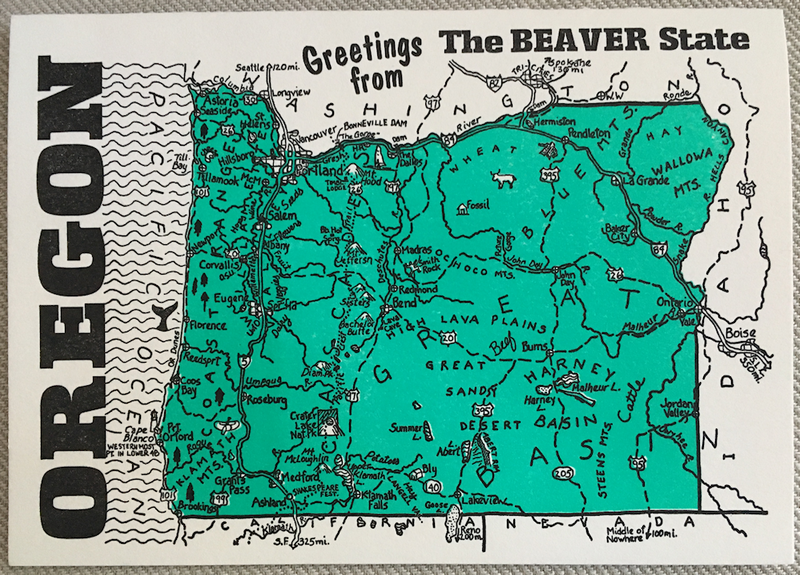 Many maps are available in Letterpress. 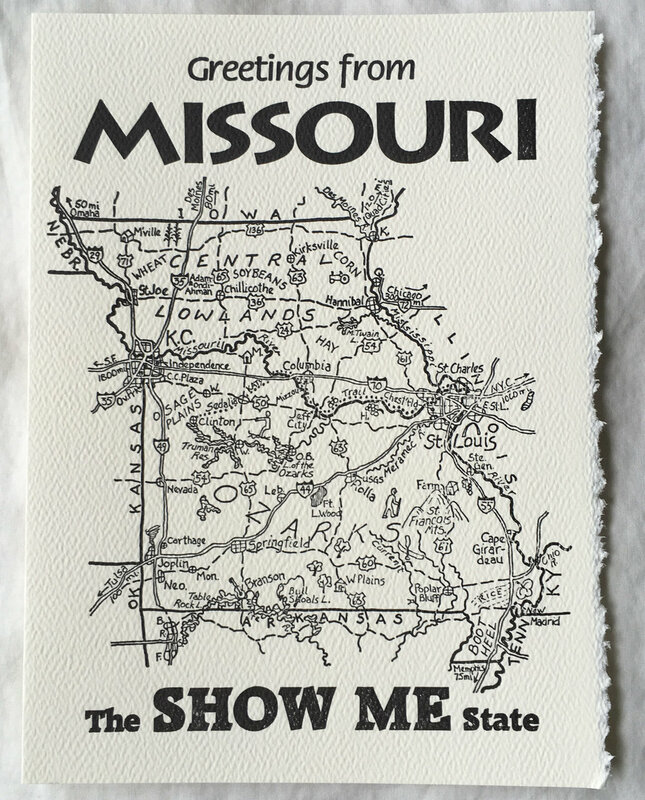 These are hand-drawn maps that are printed on vintage Letterpress machines. The cards are printed on motorized platen presses. I work on two different ones, one is a Chandler and Price machine built in 1923; the other is a Peerless press dating to the late 1800’s. The larger pieces are printed on a Vandercook 03 sign press dating from the 1930’s (I think). 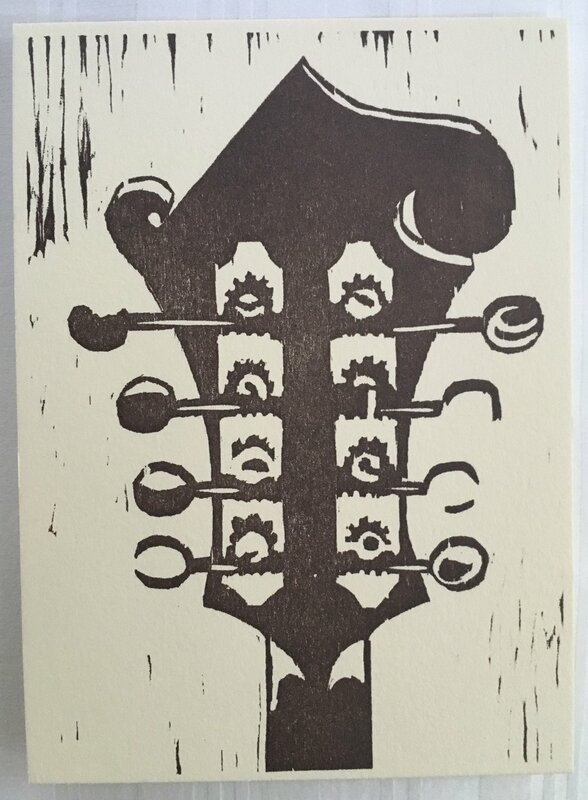 These are printed on a vintage Vandercook 03 sign press. They are printed from various materials, including lead type, wooden type, hand-carved block made from wood or “Sintra”, a synthetic material, or from polymer plates. 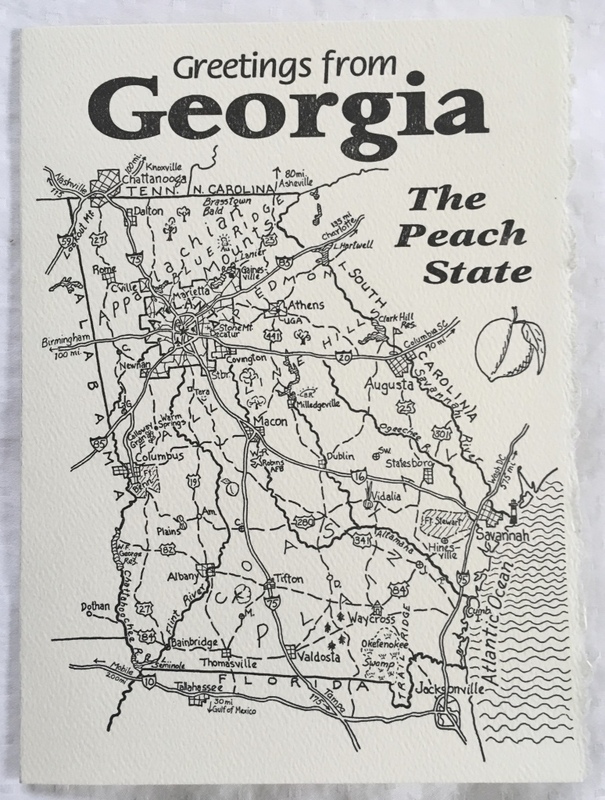 All are printed with archival inks on sturdy cardstock made in the U.S.A.